What is the most difficult thing you have had to cope with? If you think back on whatever the situation was, it may have been tough but you survived to fight another day and you are still here to cope with the next disaster. Saying thank you to yourself for getting through the mire is a tough thing to do. Yes, you may have had loads of support but ultimately we are the ones who drag our selves through it. 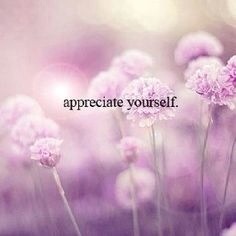 Be grateful and thankful to yourself, without you, you would not be you!